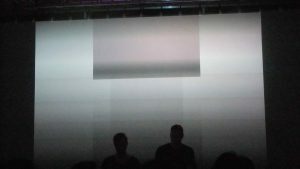 Lunchmeat 2017 – Sound and Sight Share the Stage | AS IF. NO WAY! At Lunchmeat, visual artists and musicians shared the stage, and the melding of the two sensory input streams created powerful synesthesia. 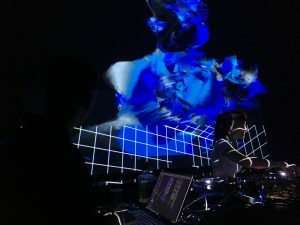 It’s a festival where the lineup lists the sound and visual artists together, connected by & underlining the collaborative connection forming the experience. Here is a collective that is authentic and enthusiastic, pulling a tightly organized and well-established event to showcase and develop art experience, shared through mutual creativity. 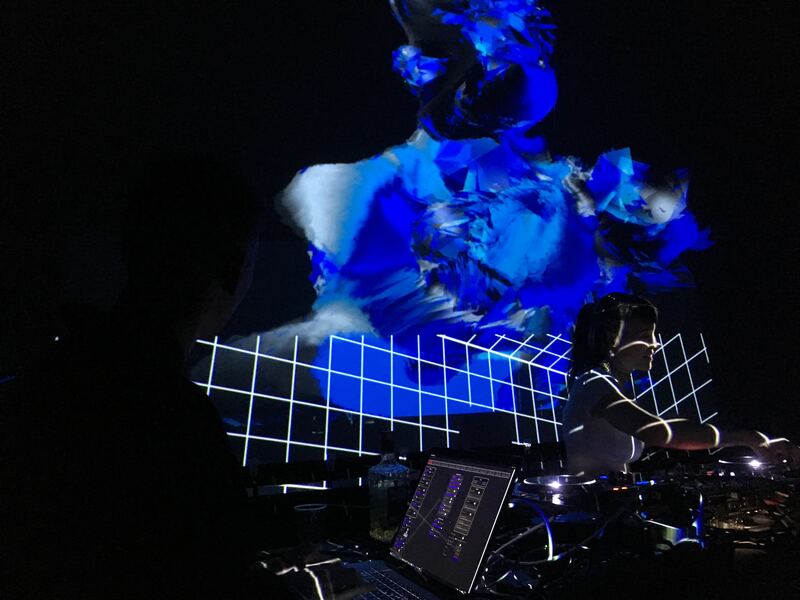 Square in the centre of the city, in a public gallery with governmental grant funding, Lunchmeat champions electronic music culture as art that grows with the advance of technological progress. Across a broad range of textures and vibes, Lunchmeat stayed tasty-delicious all three nights. Featuring sounds from across the electronic music world, variety being the spice of the meat: Jlin on the same line-up as Ben Frost, Laurel Halo, Pantha Du Prince, Zora Jones and Killa P forming constellations across the nightlife sky. 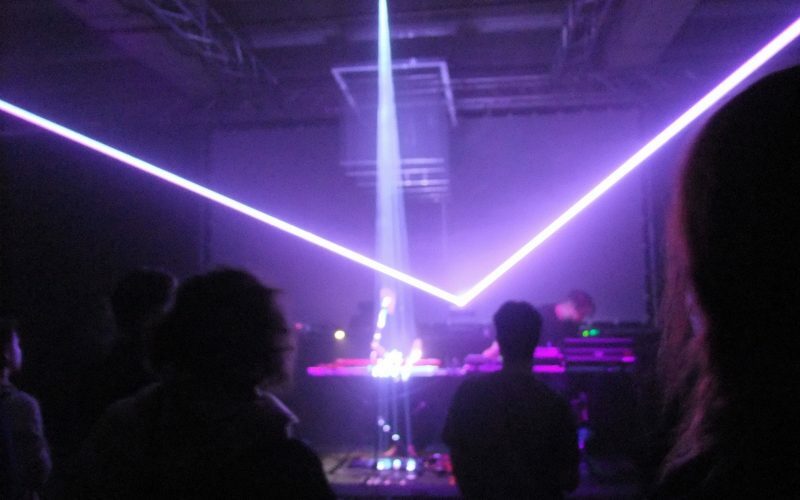 Sets were played with fervent energy, and artists and audiences were focused and immersed on the experience rather than themselves or the surroundings. That’s also because the surroundings were blank – unlike a romp at a summer festival, the design’s not in the decoration. The venue, the basement of the National Gallery in Prague, the Veletržní palác, is two bare rooms, stone floors and no windows, one a square dancefloor, the other an ampitheatre. 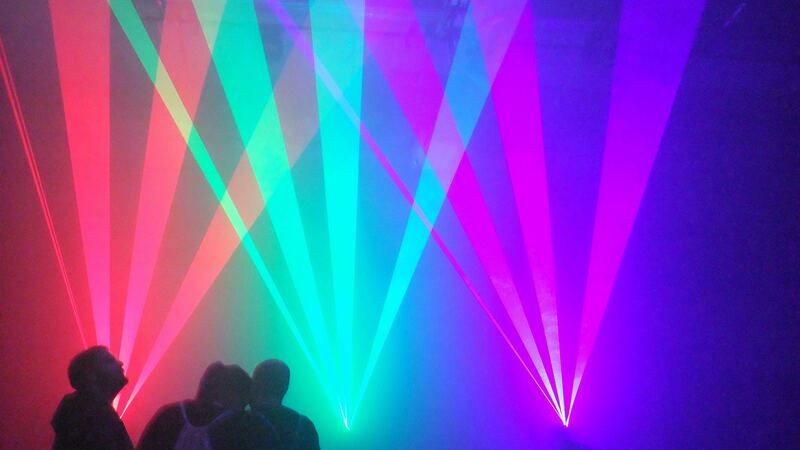 These rooms are filled with speakers, light rigs, projectors, lasers and the works in entertainment equipment. All this technology between audience and artist becomes an empowering canvas, creating enveloping sets, for dancing with eyes open, rewarded by the gorgeous imagery projected. In fact, with closed eyes you’re missing half the art: Lunchmeat set out to marry visual and audio art, and magnify both in the combination. Over three nights, a cutting-edge lineup of acts pushing the edges of music forward kept us down in the basement, where the tightness and quality of the shows were evident. 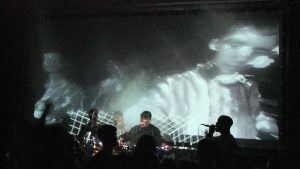 Acts like Clark and Visionist & Pedro Maia brought their own synergies of light, sound, and performance, while other musicians collaborated with the Lunchmeat visual artists, such as between Rrose and Orkhan Mammad. 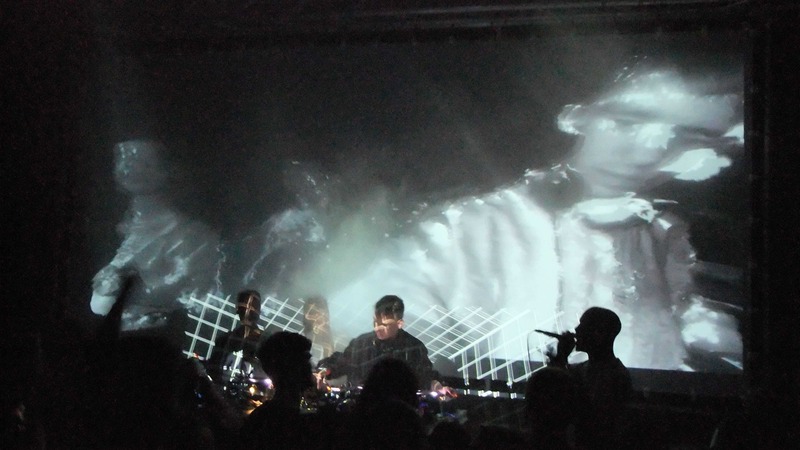 Those sets that embraced the co-stimulation of our senses delivered memorable experiences, synergies of concurrent streams of input – and that’s what the festival sets out to achieve. The structure apparently was for Lunchmeat visual artists (or invited guest artists) to pitch an idea for a visual show to accompany the music set and work in collaboration for a well-delivered and tight result. This started right away with Dné & Gabriela Prochazka: delicate, gentle piano keys were matched with snippets of poetry and projected dialogue, a shared expression of the mood and narrative flow of the set. The projected text was written in parts by both artists, and dné told me that Gabriela had caught his thoughts well. 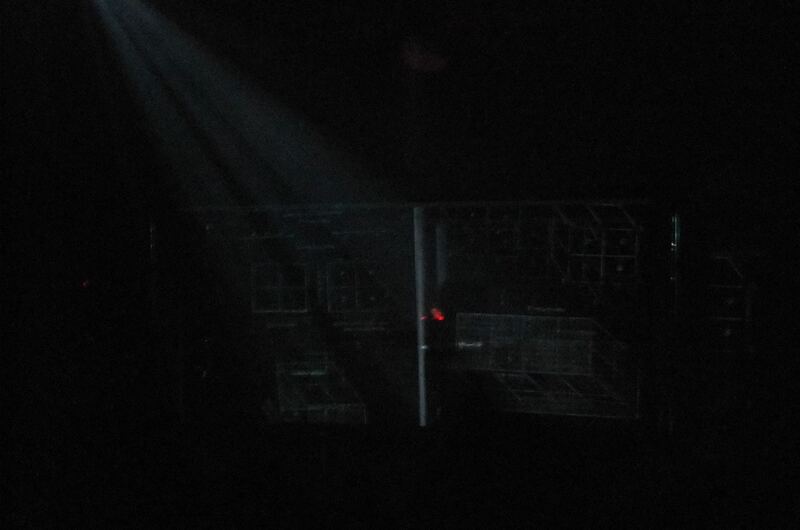 Roots in Heaven was a highlight of the first night, commanding the concert stage for an immersive story, the mystery of his sounds amplified by visuals of old scripts, alchemy, architecture, medicine. 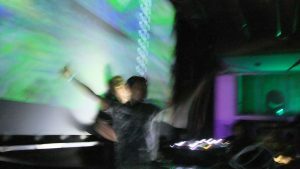 It wasn’t just the intersection of two art forms that pushed the envelope of art and culture – the musical curation set a platform for new sounds, sub-genres, and evolutions in electronic, dance, and club music: like Golin’s blend of power-pop beats and japanese rap, neon pink and electric. Meanwhile, the club stage really gave DJ sets the chance to impress. The gqom showcase with DJ LAG was a kaleidoscopic whirlwind, with no hesitations in jumping into proper ravey crazies. Wild splashes of colour and tribal imagery projected by Krstn Klkv increased the raw frantic bared-teeth feel of the set. 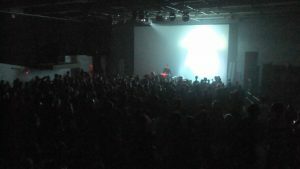 Raw energy, and an awesome showcase of newer club culture, where electronic music has come to, and what a DJ show means right now. It reminded me of what I treasure most in this culture, an experience forgotten sometimes in the weekly rhythm, when dancing is a personal need and a beat a service provided for the punter as an esteemed guest – lets be humble again and remember how exciting hearing arranged constructed airwaves really can be. On the third night, the concert hall was the one, a sequence of great shows across musical, conceptual, and experimental ranges. 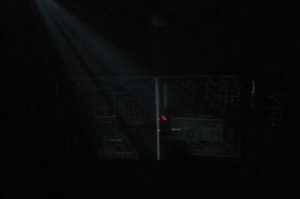 The brooding and dark music of Pact Infernal was combined with Cycles, the collaboration of a stage designer Tereza Bartůňková and audiovisual artist Adéla Kudlová, for an atmospheric extreme, the mood set through lighting and environment for the musician duo to take us all to the underworld. The lineup continued to delivery high point after high point until finally, to burn off any remaining energy, the NO IDOLS set closed the festival with rolling hard techno with a raw, loud, and propulsive sound. No idols indeed. 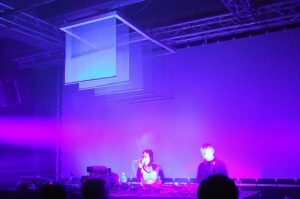 Lunchmeat’s stripped back space and stages has allowed the artists to put forward the manifestation of ideas and decisions. This is a festival of artistic creative output, before party culture or celebrity star shows. When there’s only one person on stage it’s easy to forget what goes into a show – and after Lunchmeat, I think I’ll always be keeping an eye out for whats going on around the music. It’s a project that is sincere, passionate, honest, focused: on humans, on creativity, on experience explored through sound and light, waves coming through space toward our receptors. I’m so inspired and full of ideas that I took some bewildered notes after the festival: To experience is to live, so the consequent is true, to transmit experience is to imbue life. 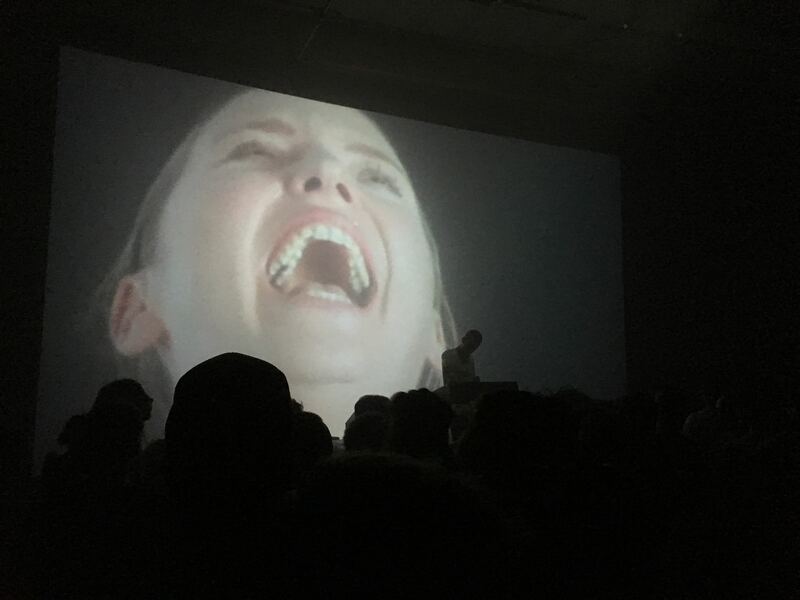 At Lunchmeat, the success of transmission is evident, observant gazes and open ears followed by cheering, wooping, applause – because we are multi-sensory animals and synesthesia is sick.